In no other EU-country is as much virgin forest found than in Romania: an estimated two thirds of Europe’s last wild forests are found here in the Carpathian Mountains. Romania is literally a treasure chest of European natural heritage, the ‘virgin forest hotspot’ of Europe. Most of these forests are stands of ancient beech and mixed beech and they are home to the European Union’s largest populations of brown bears, wolves and lynx. The other important natural reserves of Europe are located mainly in the Western Ukraine, Slovakia, Poland, Bosnia and Herzegovina, Montenegro, Bulgaria, Croatia and Slovenia. According to a 2005 forest inventory (Pin Matra project; Biris and Veen, 2005), around 218,000 hectares of virgin forest remained in Romania. There are indications, however, that the government’s forestry administration did not report all the actual virgin forest stands, so this figure is likely to be an underestimate. Since 2005, however, vast areas of forest have been logged and lost, including in the virgin forests, previously identified by the Biris-Veen study. It is difficult to state exactly how much of Romania’s intact forest treasure remains today due to inadequate data and government oversight. Unlike in many other countries in Europe, national parks and nature reserves in Romania are logged in a highly destructive manner. In the BACKGROUND-DOSSIER – OUT OF CONTROL – The tragedy of logging in Romania’s national parks you can find detailled information. Even the Romanian Natura 2000 so called ‘protected areas’ are the focus of a rapacious commercial logging industry with virgin forests are not spared from this wanton destruction. Logging in the heart of Domogled national park. According to the guideline of the World Nature Conservation Organisation, the IUCN, strictly protected nature zones, where no human interventions take place, should be set up across 75% of the national park areas. In stark contrast to this, only one Romanian national park achieves this level and up to two thirds of the protected areas are commercially logged in all other parks. Worldwide park management standards are completely ignored. 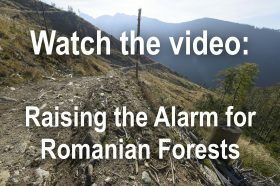 It is a very sad state of affairs that the Romanian government’s own logging management company Romsilva is in charge of management of almost all of Romania’s national parks. No government funding is resourced to park management. In a terribly destructive irony, Romsilva logs in national parks and reserves in order to (indirectly) fund them. Huge areas of virgin forest have been lost in national parks in the last decades as a result of this absurd conflict of interest. 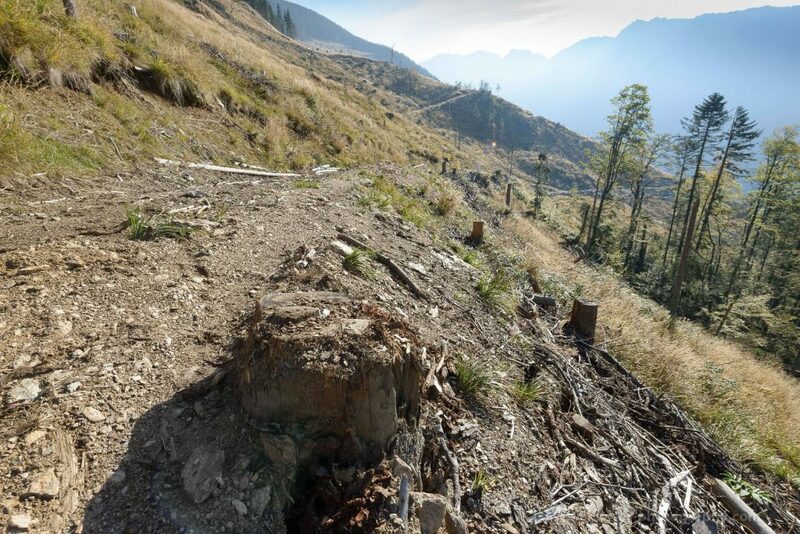 In the Apuseni and Maramures natural parks (and Natura 2000 areas) and in the Fagaras mountains, for example, the evidence of forest spoilage is particularly shocking. Here, entire valleys have been deforested. The habitat for rare and strictly protected animals such as the structly protected capercaillie (Tetrao urogallus) have been largely wiped out. In these valleys, natural forests are disappearing under the chainsaw, and floods, mudslides and avalanches are endangering settlements and traffic routes. Romania’s former prime minister, Carmen Palmer, summed up the logging in Romania’s forests concisely. At a forest conference in Bucharest in 2016, she said “Romania’s forest has cancer”. Giant clearcut in Ucea Mare valley, Fagaras Natura 2000 site. Only a few years ago, the valley of the new UNESCO World Heritage site near Sinca in the Romanian Fagaras mountains was covered in dreamlike virgin forests. Some of the largest fir trees in Romania grow here. Unfortunately, only a fraction of the roughly extimated 1,000 hectare pristine forest area has been nominated as a UNESCO World Heritage site. Although woodland has been abandoned in registered and intact forests since a Ministerial Decree in 2012, magnificent primeval forest has been continually cleared in the back of the Sinca Valley since 2013. Now the valley, including its side streams has been partly devastated by brutally cut forest roads and the old forest is now pockmarked with logging areas. The government has not responded adequately to the complaints of the environmental organisation Agent Green. The authorities have not stopped the logging. But this sad loss of natural heritage is not confined to the Sinca valley. Virgin forest has also been destroyed around the planned UNESCO reserve Iauna Craiova in the middle of the Domogled-Valea Cernei National Park. Entire slopes have been cleared in the last 10 – 15 years. Heavy logging machines have torn up the forest floor and destroyed the sensitive ecosystem that had been undisturbed for thousands of years. 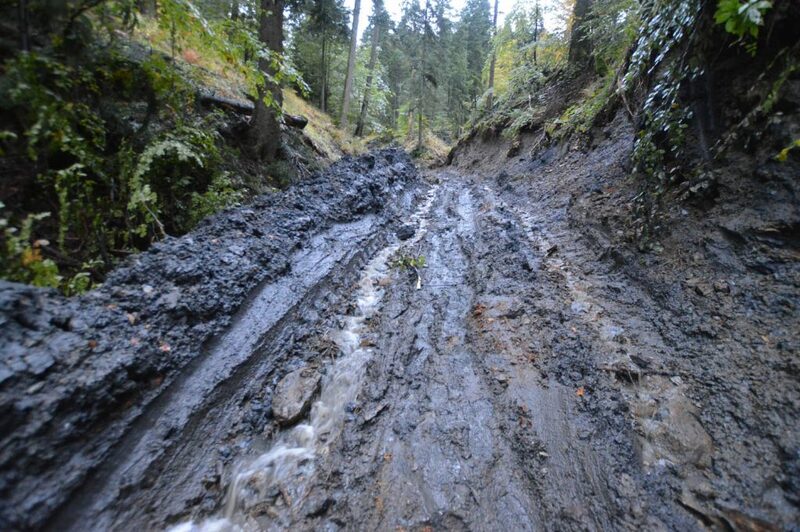 Even worse is the situation in many Natura 2000 site (SCI’s): in what is meant to be protected areas under European law, in areas like Nordul Gorjului de Vest, Apuseni, Maramures, Fagaras, Tarcu or Someşul Rece, entire mountain ridges and valleys have been largely devastated. 1000s of hectares of primary forest are destroyed or degraded now. Bark beetle has been used as the excuse to log massive areas of healthy forest in Romania. Satellite image analysis shows that so called ‘bark beetle logging’ has destroyed forests in areas not affected strongly by the beetle. Science is telling us that bark beetles are part of natural processes, and any forest damage is only exacerbated by logging. Romanian experts and environmentalists have accused authorities of turning a blind eye to this catastrophic robbery. Allegations of corruption have been publicly made. The forest crimes reached a sad climax in the years 2005 to 2010 in the course of a process of forest area restitution, a supposed reversal of forests taken by the Communists after 1950. This process has been a widely a sham. It is estimated that at least half of the forest hardbacks to private owners were made with faked counterfeit documentation and bribery and were therefore illegal. In many cases, these stolen forests were razed as quickly as possible and turned into dirty money. The Romanian people lost enormous natural assets in this thievery. 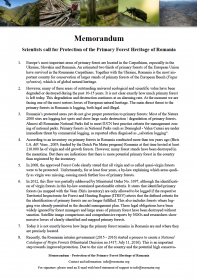 In September 2012, following a massive petition campaign led by WWF, the Romanian government enacted a law on better protection of virgin forests. A “National Catalog of Virgin Forests” was established and intact virgin forests were not allowed be be logged. Exceptions were only granted if it turned out that forests had already been logged and no longer fulfilled the defined primary forest identification criteria. But the story on the ground is a very different one: analyses of satellite imagery and on-site research demonstrates that even after 2012 further logging of virgin forests has occurred. 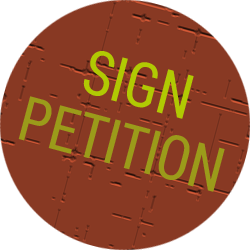 The law has been ignored by forest owners, forestry administrations and authorities. Romanian experts have reported that many municipal and private forest owners have refused to implement the regulation because they have not received compensation from the government. Romanian insiders assure us that this process is rife with corruption. As a matter of urgency, Agent Green, EuroNatur and other NGOs call on the Romanian government to provide sufficient funds for the compensation of private and communal land owners to ensure that exploitation of the remaining virgin forests ceases. National forests must be protected by the government by decree, and the logging authorities must be subject to stricter policing of the laws. The German ecologist and conservationist Prof. Dr. Hans Dieter Knapp even described the conditions in the Romanian logging industry as a “Dracula system” due to its lack of transparency and corruption. To be listed in the “National Catalog of Virgin Forests” candidate areas have to be scientifically documented and verified to the authorities by certified experts. This work is currently carried out exclusively by nature conservation organisations and some scientists who cooperate with them. According to current estimates, there is still more than 100,000 hectares of virgin forest remaining in Romania. No other EU country has nearly this much virgin forest, yet less than one third of this is effectively protected. 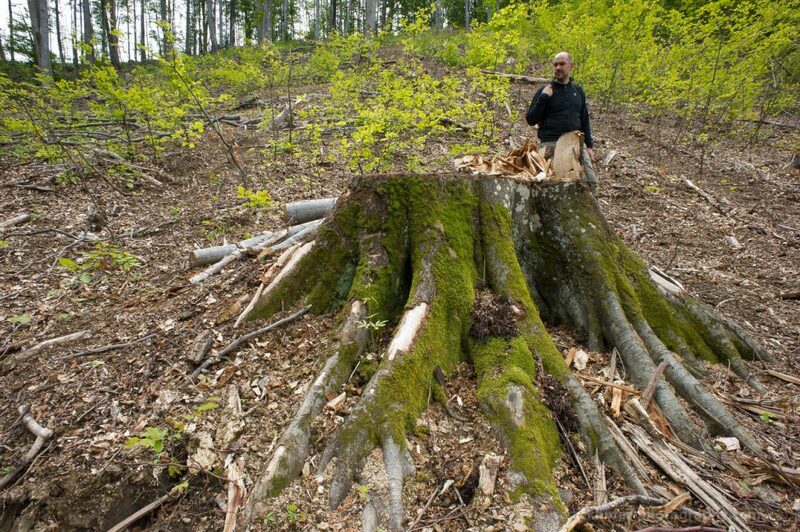 Every minute, Romania (and Europe, and the world) loses more irreplaceable virgin forests. Fagaras Natura 2000 site: Tall, old beech trees, marked for logging. The environmental NGOs are therefore desperate to commit as many of these areas as possible to the catalog – to document the necessary studies and to report them to the forest inspectors – before the logging companies can destroy them. Conducting these studies is time consuming and difficult work. They must demonstrate that the forests are in compliance with the strict criteria of virgin forest, contain accurate forest plots, often in difficult to access terrain and be signed by approved experts. The criteria set by the government are extremely strict: if a few trees are missing in a forest or the intact virgin forest area covers less than 20 hectares, the virgin forest fails the catalog and is confined to being logged. This is a terrible situation and an easy game for loggers. They just need to cut a few trees or dig a path into the forest with an excavator and the criteria cannot be met and the virgin forest is lost. As the paperwork is rushed to be completed, the chainsaws may already have started. The creation of the “virgin forest catalog” is therefore a race against time. At the same time that nature conservationists and scientific experts rush through the forests in an attempt to document their magnificent values, forest owners and logging companies cut down as many forests as quickly as they can. This happens with particularly extreme brutality. Bulldozers cut wild swathes through the virgin forest slopes and smash and straighten mountain streams to build roads for logging trucks. 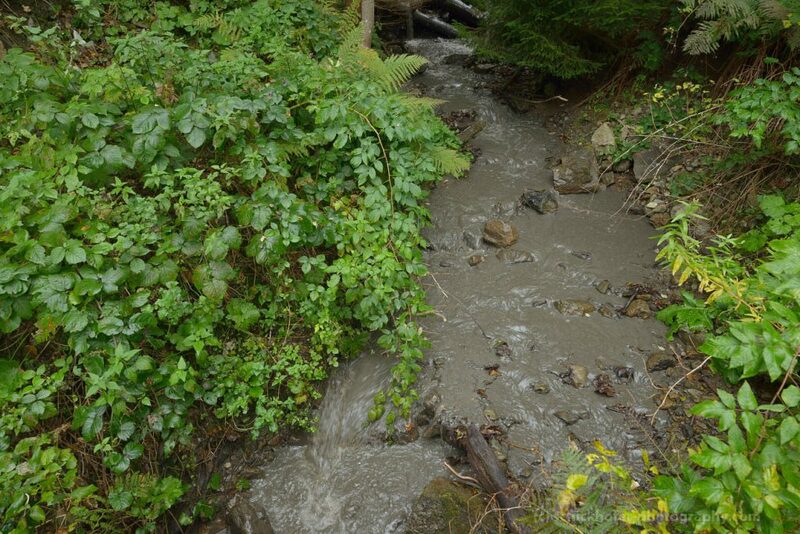 Instead of the crystal-clear forest streams meandering through these valleys, a muddy broth flows through the mountains killing fish and polluting drinking water. Mudd from upstream logging kills river life. Fagaras Natura 2000 site. In 2016, there were many reports that forest administrations and authorities were sabotaging the efforts of NGOs and experts for the virgin forest catalog. In autumn 2016, Agent Green reported almost 2000 hectares of virgin forest areas to the responsible forestry authorities – an entire summer’s work where an expert team worked daily to beat the chainsaws. The studies were submitted before a winter deadline, because between October and March no virgin forest studies are accepted by the authorities. The logging continues now, in the winter of 2016 as the frozen ground does not stop the heavy logging bulldozers. But the forest inspectors ignored Agent Green’s studies. The 5-week deadline for the study assessments passed without reaction from the forestry supervisors. Due to the unlawful inaction and silence of the authorities, these invaluable forests were not included in the catalog, and thus not protected. Other NGOs have also reported inaction and obstacles on the part of state forest administrators and forestry officials. Logging is clearly the priority for these ‘officials’. 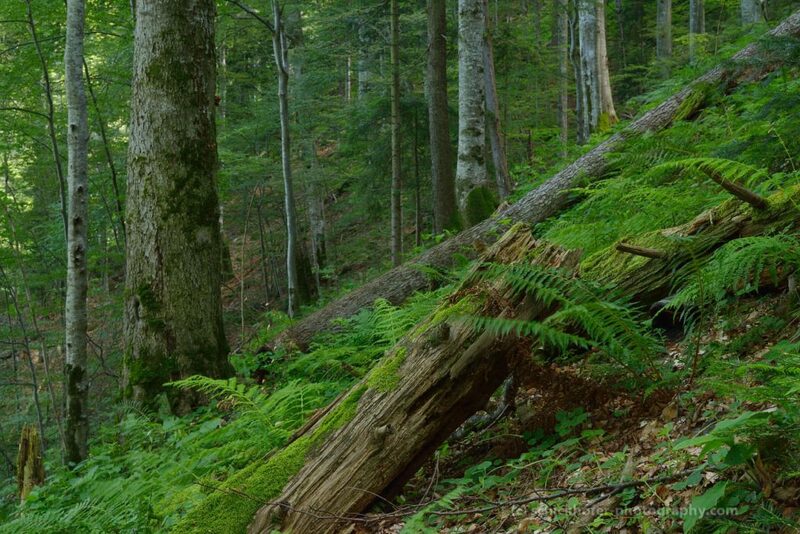 An international team of scientists led by Professor Miroslav Svoboda (Czech University of Life Sciences, Prague) has been studying various virgin forests in Romania (and other EU countries) for many years. Even their areas of scientific investigation are threatened to be destroyed. In 2015 the researchers sent an urgent letter to the government – with the immediate request to at least preserve these irreplaceable forests for science. Logging proceeded, however, without any intervention from the government. 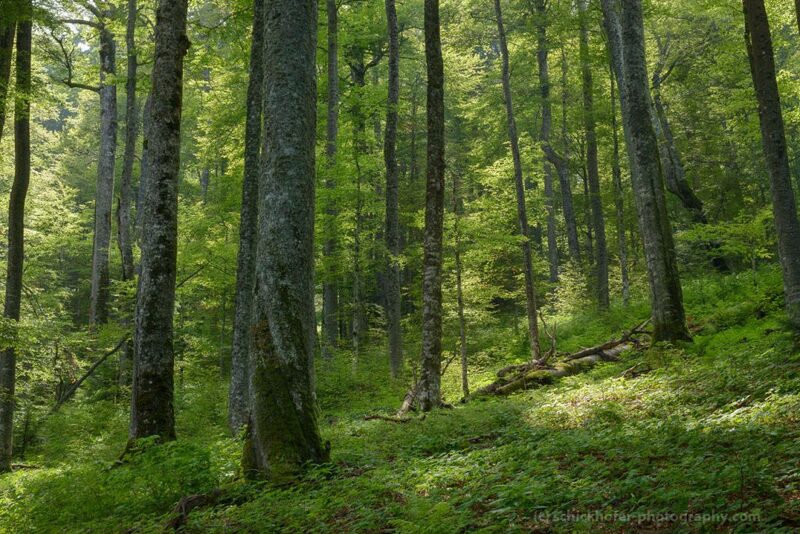 In cooperation with Romanian experts, the renowned scientists wanted to register the virgin forests in the Fagaras mountains and other Carpathian areas in the national catalog. But to date, the government has ignored their credible requests. The responsible forestry officers did not act and the studies could not be sent by 1 October. On the list and now threatened with logging are internationally important virgin forest jewels such as Boia Mica and Arpaselu. Ucea Mare primary forest: Logged soon?